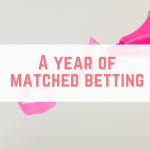 You have probably heard the saying that one man's trash is another man's treasure, but did you know that there is a whole money saving trend dedicated to scavenging discarded receipts? This trend, known as wombling, allows savvy consumers the chance to earn money off vouchers, get coupons, loyalty points or even earn cashback on shopping that they haven't had to do in the first place. The name “wombling” comes from The Wombles. Many people report to save around £200 every month on their groceries from wombling, and there is a massive community of people who womble on a regular basis. 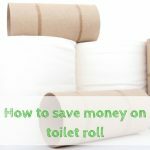 But is it one money saving trend that has gone too far? 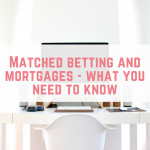 Keep reading to find out my experience as well as my wombling tips. 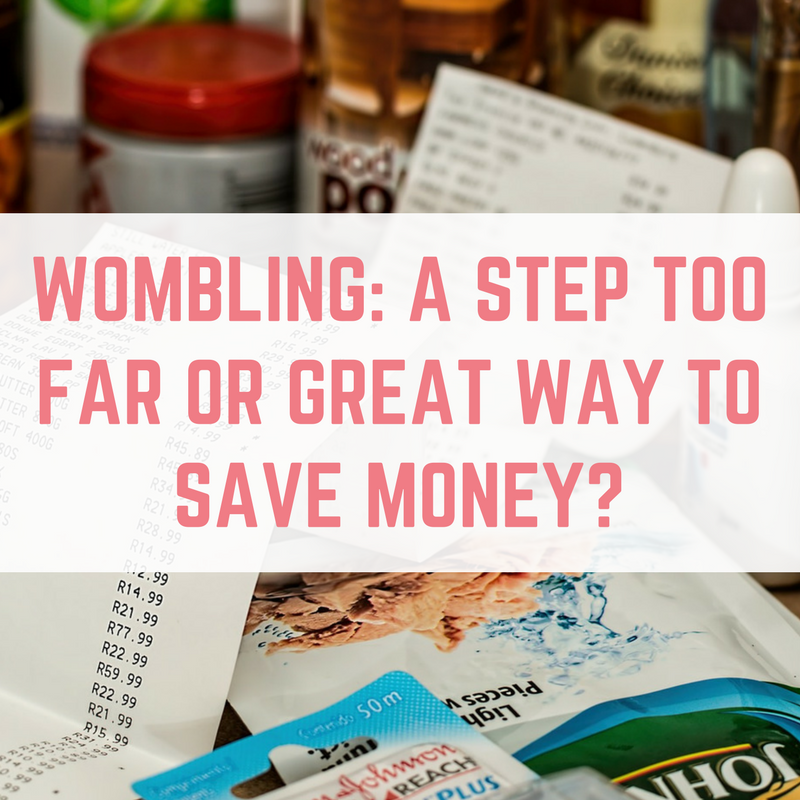 How do you actually save or make money from wombling? 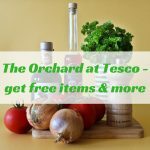 Asda have a price guarantee – if your shopping (made up of at least 8 different items that are available on the Asda grocery website) is not 10% cheaper than Tesco, Sainsbury's, Morrisons, or Waitrose then you will get a coupon for the difference. You can use a wombled receipt to see if it is eligible for Asda's Price Guarantee. 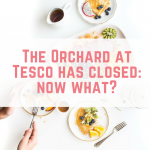 Tesco have a Clubcard loyalty scheme, but not every person shopping at Tesco will have a Clubcard or remember to use it. Receipts that show that a loyalty card hasn't been used can be used to claim Clubcard points. Sainsbury's receipts can be used to claim Nectar points in a similar way to the Tesco Clubcard points. Receipt Hog is a smartphone app where you can earn points for uploading photographs of your receipts. These points can then be converted into rewards which include Amazon gift cards and cash via Paypal. Click here to read more about Receipt Hog. Sometimes you can even strike it lucky with cashback apps such as Shopitize, Checkout Smart, ClickSnap and Shopmium. These apps offer you money back if you buy a specific item, and sometimes these items can appear on wombled receipts – so you can actually make money! It isn't just supermarket receipts that can be wombled – have you noticed some of the discounts and freebies offered on receipts? For example, KFC offer a 20% discount on your next visit for completing an online survey and putting the completion code onto your receipt, or you can even claim the Colonel's Club stamps from receipts. Burger King offer a free Whopper for completing a survey and presenting your receipt. Another great way to save money from wombling is finding those “till spit” coupons often offering you money off your next shop. It sounds crazy, but it is legal! There is one stipulation, and that is that you cannot take receipts from the store or bins on the store's ground. This means that trolleys, bushes and the car park are fair game. Whether wombling is moral is another matter altogether, especially when it comes to claiming cashback on items that you didn't actually purchase. What do others have to say about wombling? “I think it's a great frugal hobby. It's not for me, I thought I could do it but when it came to it I just don't need to do it. But for people living on the breadline why not? I've also discussed doing it with a friend and donating the food we buy to a homeless shelter or food bank.” David from Thinking Thrifty (who has also written about wombling). “One man's trash is another man's treasure in my eyes. I once did a coupon shop with £22 worth of Asda price guarantee vouchers! I couldn't believe my luck, I found them by doing one round of looking in trolleys and receipts I found on my way out of the shop. Also in Superdrug & Boots if people are asked if they have a loyalty card and they say no I always ask if they wouldn't mind if they scan my card. I once got a transaction of over £100 put on my loyalty cards. If you don't ask you don't get!” Emma from Extreme Couponing UK. “I womble. I collect receipts for asda price guarantee/points/cashback, “road kill” coins and coffee beans for McDonald's. I don't purposefully go out to womble but if I am outside then my eyes will scan the area for useful objects. People are literally throwing money away and if I can find it and make use of it I will. A couple of years ago coke zone did codes on cans and bottles that I collected and I was able to claim t-shirts with the points. I also see it as being a bit environmentally friendly too as I dispose of or recycle the things I pick up“. Laura from Coupon Clippers. “I think that it's a great frugal hobby, especially if you are really struggling it could be so helpful. For me it is a step too far although I tried it once the other day because there were a bunch of receipts left at a self service checkout. I was really nervous! 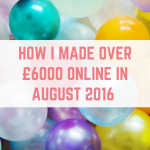 Free money is always a bonus though.” Francesca from From Pennies To Pounds. I have never been a wombler, but I decided to give it a go. I picked up every receipt I found over 2 days. Receipt hog coins: 180 (worth 60p in Paypal cash). Asda price guarantee: £0.00. Of 4 receipts, only one had more than the minimum of 8 items on it, but it still wasn't eligible for the price guarantee. Cashback apps: £0.00 – none of the items on the receipts were eligible for cashback on the apps. This taught me that wombling is not for me! The time and effort it takes to find receipts and then do something with them was not worth the 60p worth of Receipt Hog points I received! I think that wombling can be a great hobby for the super savvy, but it isn't for me. If roaming supermarket car parks doesn't appeal to you then consider asking your friends and family for their old receipts. Stay away from the bins – you cannot take receipt from bins or from inside stores. Look for discarded receipts in trolleys – the bays furthermost away from the store entrance have a higher chance of having discarded receipts. Supermarket staff are very aware of womblers now, so they try to pick up receipts as soon as they see them. Keep your receipts neat – a lot of the apps need you to upload photographs of your receipts, so you want them to be as pristeen as possible. Act quickly – there are deadlines for claiming your cashback, coins from Receipt Hog or loyalty points. Get in a community with other womblers – Facebook groups a great place to start. Follow the wind – you can find lots of discarded receipts in places where the wind has swept them. Get some hand sanitiser – the number of used tissues that look like receipts just doesn't bear thinking about. Try to womble at the end of the month, after pay day. The receipts are likely to be worth more after everyone has done their pay day shop. Look out for the terms and conditions changing – you don't want to get caught out if a store suddenly changes their policy on the use of receipts or starts to police it. 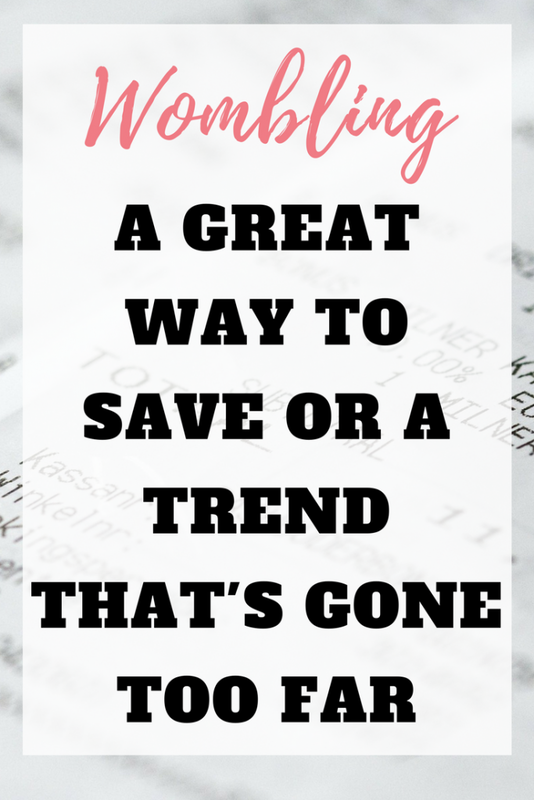 Are you a wombler, or do you think it is one money saving trend that is just that step too far? If you have any wombling tips to share then please comment below. I would love to know your thoughts. I have wombled in the past, if me and my partner get a trolley that has a receipt in it we will take it and use it for the asda price guarantee, we once got £11.50 on a wombed receipt, I wouldn’t go in the bin for receipts but if theres one in the trolley we’ll take it or if we see one on the floor. Personally I don’t agree with it but I don’t judge those who are doing it. Tip number 8 made me snort with laughter then shudder a little! That’s a very interesting post. I’ve never thought this existed – but it has jogged a memory of a program I saw where this woman does pick up receipts from trolleys. I don’t see how it would be a problem if the receipts were discarded anyway, unless it started a robbery for receipts trend! 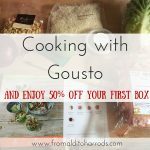 I do this all the time – it’s great, especially when you find Tesco receipts with lots of Clubcard points on just waiting to be claimed! Just one query and one observation. Am I correct in thinking that the Tesco points are only valid with the Clubcard that triggered the voucher or coupon? However if it is one of those receipts that state on the bottom “If you had used a Clubcard you would have collected x number of points” you need to take it to the Customer Service desk to get the points put onto your card. I think that the staff in our local Tesco – a lovley friendly bunch by the way – would soon cotton on to what you were doing. And the observation – keep your receipts pristine to up load them. I had one that got soaked in the bottom of the bag with frozen foods. I ironed it! BAD mistake. I ended up with a receipt with just a huge black splondge on it! I think you’re right – the odd receipt is one thing, but having to go and add points on all the time, the staff would know! I’ve heard in some stores they limit how many you can do.